She’s the sweetest person that I’ve met in Romania…during Feeric Fashion Week. I wanted to thank her again for her hospitality and for being so freakin’ nice for no reason. Also,a big thanks to her boyfriend,Adi….who was our own “shuttle service” during Feeric Fashion Week & who took these sooper awesome pics. 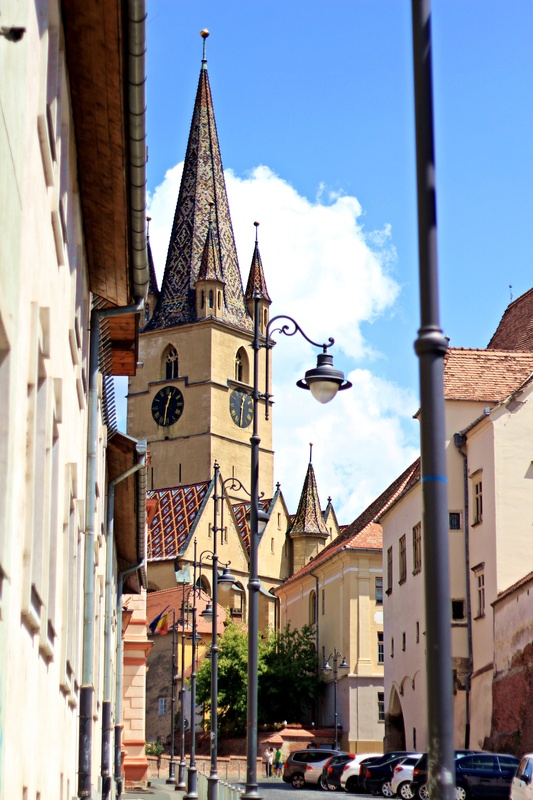 I love the location (Sibiu-Romania),the colors….actually I love everything about these pics. That jacket is so cute!! Love the look. As the time goes by you look better and better !! I ‘d like to say a big “Bravo” your latest post is the greatest !! ♡♡♡ big fan of yours dear!!! -Don’t you ever change the hair color–This is the real you!! !